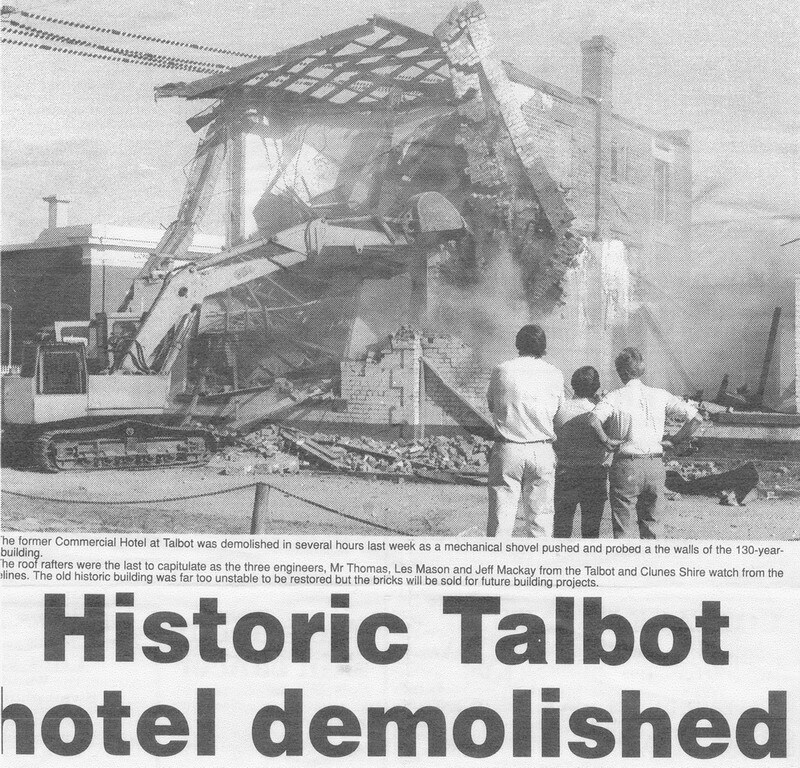 The historic Talbot Hotel was demolished in hours using a mechanical shovel, destroying the building which stood for 130 years. 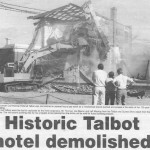 Unfortunately the building was no longer structurally sound or safe and had to be taken down. The good news was that the bricks were sold for use in new buildings! We love a good demolition story.